– Get tickets for STAGE FRIGHT on the cheap. Tickets will be available through the run of this Hitchcockian tribute, but instead of paying top dollar at the door, get them before March 24th and save 50%. 4 – Get tickets for the N CROWD Anniversary Show. Nearly every show in 2011 has been sold out. The six year celebration at the RUBA Hall on April 22nd shouldn’t be any different. Get them before they’re gone. 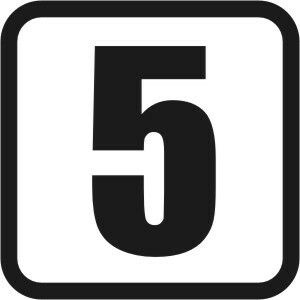 3 – Submit to DÜOFEST. March 22nd is the absolute last day to submit to this one-of-a-kind comedy festival. Get your stuff together and get it in. T-minus six days. 2 – Confirm your PHIT house team audition slot. The Philly Improv Theater is looking to expand their ranks with two new teams under the direction of MATT HOLMES and KRISTEN SCHIER. Slots for the open audition on March 27th are still available but limited. 1 – Get tickets for the Roast of MEG FAVREAU. Forget Trump or Hasselhoff… Philly comedians know how to roast their own, and if last year’s roast of Kent Haines was any indicator, then Meg will be taking some big hits and snapping back strong before she departs for LA. This will be packed. Period. Perhaps it’s all the fantastic shows. It could be the great venues. It might even be the little community of friends you build at the Holiday Inn. Whatever your favorite part may be, one thing’s for sure… February is the time of year that hundreds of comedians descend on RDU to take on the Dirty South at the NORTH CAROLINA COMEDY ARTS FESTIVAL. 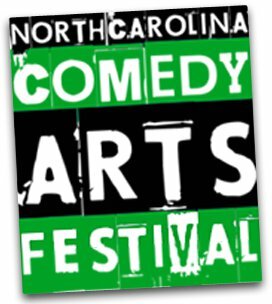 Formerly the Dirty South Improv Festival and recently rebranded NCCAF to include scores of sketch and stand-up comedians as well as films, this festival is one of my favorites every year, and just a damn good time. For those that want to get in on the performing action, your window is closing. You have until just next Friday to submit your show for consideration. So what are you waiting for? Get on it! Submissions are now open for the sixth annual PHILADELPHIA IMPROV FESTIVAL. This year, the festival has expanded to seven days and two venues, kicking off the first week of the Philadelphia Comedy Collective’s Comedy Month. PHIF has commissioned several big acts this year and tapped instructors the likes of JOE BILL, DAVID RAZOWSKY and WILL LUERA. More details and the online submission form can be found here. Since it was introduced to City Council on April 22nd, Bill 100267 has created quite a stir in many entertainment circles. Introduced by Councilmen Bill Greenlee and Darrell Clarke, the bill calls for promoters of special events to apply for a free permit from the Philadelphia Police Department 30 days prior to each event. According to Greenlee, it’s an attempt to curb event-driven distruptions throughout the city. While the bill hits promoters and is clearly targeted at nightclub events and similar social gatherings, the language of the bill could cause repercussions within performing arts communities. Reviewing the bill, we see that permits will be needed by the entities promoting and producing events, and those that look to profit from them. It exempts paid media outlets, ticket sellers (off premises), performers (paid strictly to perform), agents, politicians, political committees, non-profits and of course the City of Philadelphia itself. It also allows PDD to deny a permit up to 10 days prior to the event, and without cause. The area that we as comedians need to look most carefully at is how the bill classifies an “event.” It’s simply described as “any activity requiring a special assembly occupancy license.” The COP website states that a license is required for restaurants, bars, catering halls, night clubs and other gathering places with dancing and a lawful occupancy of over 50 people. The site also notes that they exclude theaters with fixed seating. So while we may not feel that we fit within the definition of a dancing establishment, the presence of an exclusion for fixed-seat theaters means the city thinks otherwise. It’s also important to note that although they do not make the distinction, lawful occupancy is different from seating… so while your venue may not seat 50 people, it could potentially be occupied by that many. Public entertainment venues that are up to code should have some sort of official signage that notifies you as to the legal maximum occupancy. As comedians commonly producing our own events, we are constantly striving to simply fill our houses; barely able to imagine our audiences overflowing to the point of causing civil unrest. Even though the thought of breaking down our folding chairs and busting out an unauthorized dance party a la Footloose is unlikely if not hoped for (I’m looking at you Kristen), Greenlee and the bill sponsors appear to be sticking to their guns. Which means that without defeat of the bill, as soon as June standard venues like the Shubin, Ric Rac and the Playground may need to make some adjustments in their operations or face extreme bureaucratic red tape (e.g. ComedySportz filing for over 100 permits a year) – all while under risk of being shut down anyway. Who is in the clear? Who is potentially at risk? You can also sign the petition at PetitionSpot. What can I do if the bill is enacted and I’m at risk? In the week since Jan 12th’s horrific earthquake, citizens of the world have turned toward Haiti… offering their thoughts, prayers and most tangibly, their donations. Here in Philadelphia, everywhere you look there are organizations taking up relief causes, and our comedians are no different. There are a number of shows coming up that are donating ticket proceeds to relief efforts. As a matter of fact, the next four nights all have comedy events benefiting Haiti. This Sunday, thousands of riders will take to subways all over the world, leaving their pants behind. Started by NYC’s IMPROV EVERYWHERE nine years ago, this annual event has caught the attention of not only surprised travellers, but the world media alike. In recent years, the event has spawned similar missions in cities across the globe, all coinciding with the main original event run by CHARLIE TODD and his expansive network of IE agents. In 2009, nearly 2,500 riders participated in 22 cities, some as close as Boston and DC, others as far as Lisbon, Portugal and Sydney, Australia. This Sunday, the event should prove to be larger than ever, with nearly 40 cities staging local rides, including the first organized ride in Philadelphia. Head on over to the Facebook event to get the details… and hopefully you’ll come on out, take off your pants, and make someone’s day! Many of you are probably quite familiar with the IMPROV RESOURCE CENTER message boards. For those of you that aren’t, get over there right now and join up. The IRC is a site developed by NYC’s Kevin Mullaney that boast numerable features, the most popular of which is the message boards. Several years ago, the Philly chatter was through the roof and we got Mullaney to add a Philly based regional board. And more recently, a sub-forum was added called Philly Cafe to discuss non-improv related miscellany. The thread entitled Name Two Things asks local improvisers to tout two things they think our local scene does well and two things that are wanton for improvement. There are some nice kudos that make people feel great and appreciated, but even more valuable is some of the insight and recommendations on what can stand some revamping. A very recent thread asks improvisers to share their Improv Mantra. It’s a simple question with a hundred complicated answers. When you spend years pulling nuggets of wisdom from a myriad of sources, how do you boil it down to the marrow of what makes your improv tick? It’s been said that there about three dozen improv games and 300 names for them. Certainly you can base most games and exercises on a handful of key objectives… things like character work, platform, energy, physicality, object work, initiations and emotional honesty. How you get there can take many more paths. Share some of your Favorite Exercises and Games with local improvisers, or find a new twist on an old favorite to keep practice fresh. We may all get different things out of our improv, but in the end, hopefully it’s fun and rewarding. The IRC is a fantastic place to commune with those of like minds and talk shop. You are currently browsing the archives for the Do This Now category.